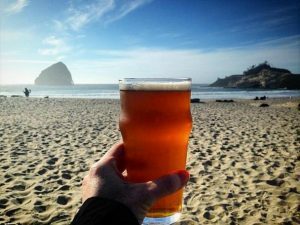 Pacific City, Oregon (March 19, 2018)—Pelican Brewing Company beer cuisine—already rooted in the fresh produce and seafood indigenous to the Oregon Coast—welcomes the inventiveness of another beach-born culinary phenom, Dan Micolino. Micolino joins Team Pelican as its new research and development chef where he leads the design and refresh of Pelican menus, Brewers’ Dinners and special events. He brings a contemporary perspective on how Pelican’s award-winning beer is both incorporated into its dishes and paired with meals. Micolino, who trained with celebrity chef Brian Malarkey at the renowned Burlap (now Searsucker Del Mar) and Herringbone restaurants in San Diego, offers a deep passion for bringing the same focus on flavor, aroma, texture and experience that the brewery brings to every beer it crafts. 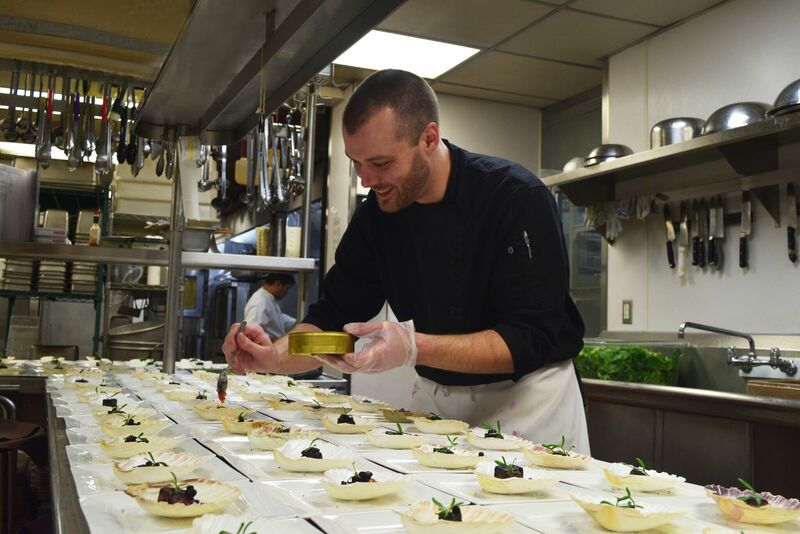 Micolino boasts an extensive resume in the food industry including leadership roles at the famed Barbarella’s in La Jolla, Amaya at the Grand Del Mar, which earned a 5-star Forbes rating under Micolino, and most recently at Yosemite Valley Lodge. 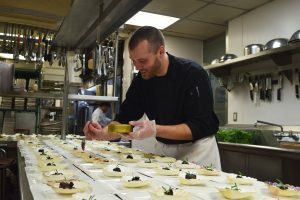 Micolino, who grew up with a chef father and a mom who worked in restaurants much of his childhood, holds a BS in economics from the University of California San Diego as well as a Culinary Arts degree from the San Diego Culinary Institute. Micolino also created the theme for the Pelican’s 2018 Brewers’ Dinners—Past, Present and Future. He was inspired to tell the story of Oregon’s rich culinary history and relationship to the land and bounty of the sea. With sights set on eco-friendly and sustainable fresh foods, for the January dinner Micolino considered the past: what were the practices of our forefathers, who lived off the land? What did they eat, and why? and how was it prepared? The Present Brewers’ Dinner takes place at the Pacific City brewpub on April 21st, 6:30 p.m. to 10:30 p.m. and will celebrate the current local foods, produce and suppliers we love here and now! How did our current brewpub fare evolve from yesteryear? 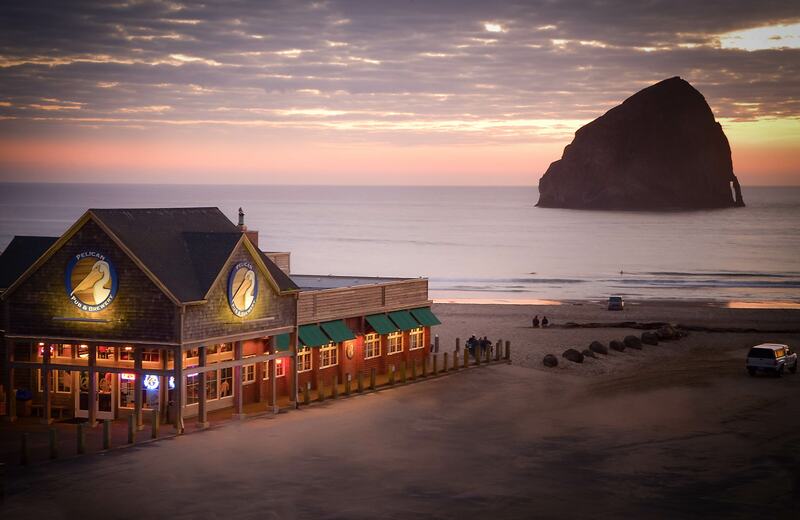 What’s all the rage at Pelican brewpubs? What beers is Pelican pouring with its fare? Any seasonal beers to taste? The six-course dinner will feature thoughtful beer pairings for each item. The Future Brewers’ Dinner on Saturday, October 20th features an exploration of future food trends—what will be central to our diets as we navigate sustainability and local production? How will culinary science and technology shape what is on our plates? And how might we pair beers with such future fare? Guests who want to visit Pelican in Pacific City can find exceptional lodging options at the new Headlands Coastal Lodge & Spa or at a variety of other lodging options at Your Little Beach Town. For more information on Pelican events email us at events@PelicanBrewing.com, call the events manager at 503.965.3674, or visit us here.